This ultra smart 4M weather station has many functions. 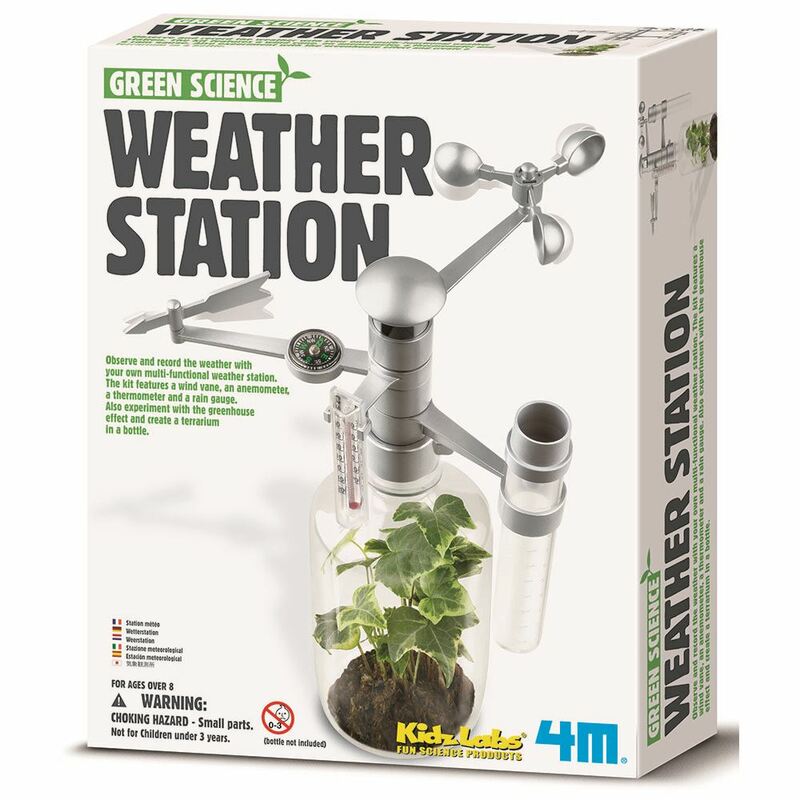 You can track the weather changes, learn facts about the weather and do experiments on the green house effect. Includes: a plastic weather station (assembly required), screws, thermometer, compass and detailed instructions. Age 8+ years. Part of the Green Science range. Distributed in New Zealand by Holdson.